Determined to continually improve their competitive position and accelerate product time-to-market, Aptic selected Miratech as its long-term strategic partner. With the help of Miratech’s multi-award winning track record, Aptic intends to build their capacity and grow their software engineering team in order to meet increasing business demands. Aptic is one of the leading companies within the field of consumer credit on the European market. Their innovative core platform, Aptic ARC, provides account management, accounts receivable, invoice purchasing, factoring and debt collection – all in one or standalone. Outsourcing projects always present challenges. Over the years of my continuous cooperation with Miratech, they have proved their effectiveness in dealing with those challenges, delivering on schedule, and making projects successful, comments Knut Eirik Storsul, Aptic’s CEO. This experience has served as one of the key reasons for me to initiate the Aptic-Miratech alliance, which has been strongly supported by our technology and product teams. With a decade of experience working with companies in the Nordic region, Miratech is excited to contribute their deep expertise in consumer credit and banking in building and managing a high performing team for Aptic. The Miratech team will assume the development of client requests for Aptic’s innovative core platform, Aptic ARC, including development of new features, creation of new reports, and enhancement of the current functionality across all products. 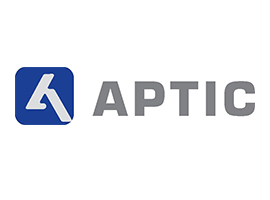 Aptic has a very solid technical team and a robust product offering. Miratech is excited to partner with Aptic to help grow their market share in the Nordic and Baltic regions, commented Miratech CEO Valeriy Kutsyy.